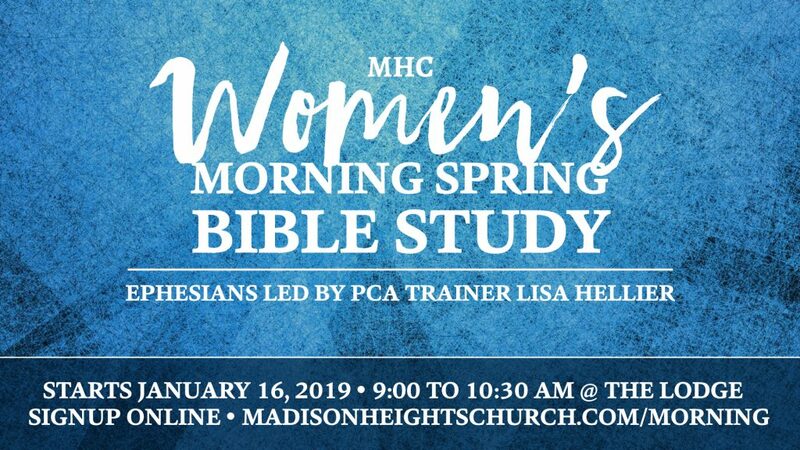 Our Women’s Morning Bible Study starting on January 16 will be on Ephesians and it will led by national PCA Women’s Ministry Trainer, Lisa Hellier. No book is required. Childcare is available and online registration is required at madisonheightschurch.com/morning.